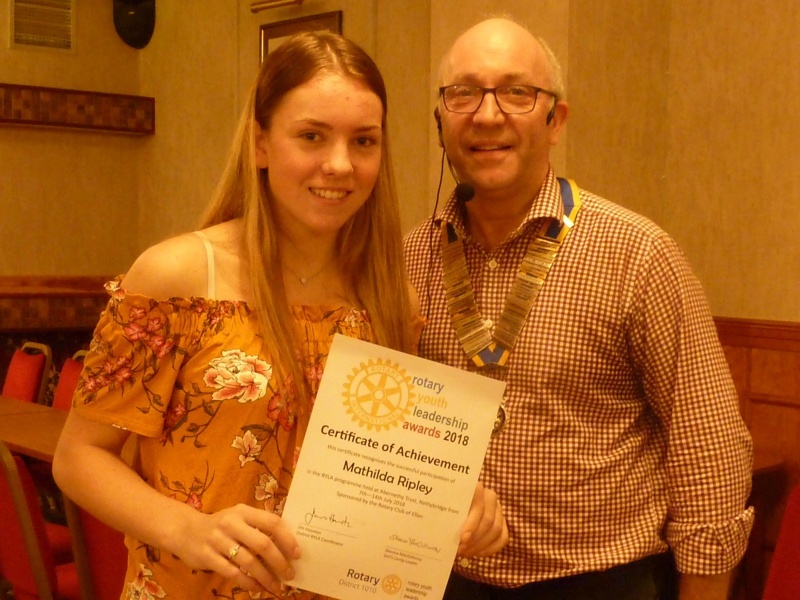 Ellon Rotary supported 2 candidates to attend RYLA during July 2018. Rotary Youth Leadsership Awards is held at the Abernethy Centre Nethybridge. Mathilda Ripley calls herself a dreamer. She gives many hours per week to coach youngsters gymnastics and loves seeing their improvement. She found that the R.Y.L.A. Camp gave her confidence to continue with her coaching and to develop her skills. She met up and became friends with many of the other students and felt that the course was highly beneficial to her development. Thank you to Ellon Rotary for the opportunity. 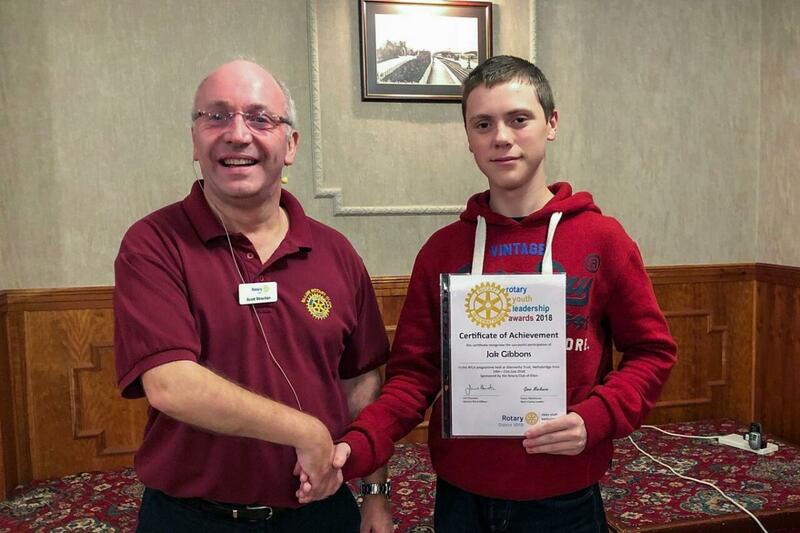 Jak Gibbons a 16 year old from Hatton entertained Ellon Rotary members with his recall of his week as our male candidate at the RYLA camp. He enjoyed all the outside activities except hill walking. He found the speakers interesting but working in teams with new made friends great fun and that helped him build confidence. He is enjoying being a part time student at Fraserburgh College and felt that his time at RYLA gave him confidence to deal with the challenges in front of him.